In principle, the government should not be blamed for taking a harsh step to curb black money, counterfeit, corruption and terror funding. However, several experts have questioned the government regarding the slowdown of the economy. The world economy might be going through tough times, yet for sometime now, India is being looked upon as a good market with regard to investments. The efforts taken in the past few years have surely ensured that a solid foundation is being established for absorbing global shocks. Despite slowdown in the developed economies and also the developing economies such as Brazil, China, Russia, etc., the Indian economy has been growing at 7-8 per cent for the last decade. The current government came to power in 2014 after a thumping majority along with huge expectations from the Indian citizens. Two years down the line, there has not been much reforms. Although, there has been few initiatives which has been launched of which some have not been passed due to opposition from several states and political parties like the much expected Goods and Service Tax Bill that has not come into effect as yet. The government's move to demonetise large currency notes was a big blow that came in the month of November last year, resulting in a financial crisis spread across the country. People starved, few of them died while standing in long queues, many became unemployed, were unable to pay medical bills, reduced their consumption and so on. With so many industries, especially the MSME sector taking a blow, unemployment will significantly increase and definitely hurt the domestic consumption as well as exports. Several industries including textiles and handicrafts are facing severe crisis and have been forced to shutdown. If experts have to be believed, then India will have to wait for at least two quarters for everything to become normal. The challenge with digital payments would be illiteracy which is rampant across the country. Apart from this, still there are more than 7000 villages that do not even have electricity to charge their mobile phones. The government will have to device a strategy, to absorb the effects of demonetization in the next few months while taking the growth curve upwards. The increase in funds flow to the banks will definitely help in funding social infrastructure projects. Efforts should now be made to increase the social sector spendings on Education, Health, Digitisation, Skill Development and Environmental Sustainability. 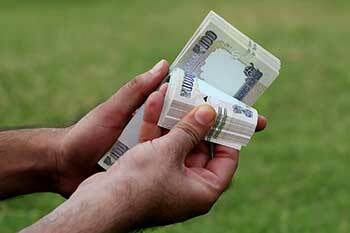 Government might also re-think on the income tax exemption limit. With the slowdown in businesses, not much help from the private sector is expected in the next few months as even the businesses would like to stabilize first from this shock. With so many people losing out their jobs, the impact of all the skill development initiatives and other livelihood activities have mostly gone in vain. The less earnings by the citizens would also mean that there is less domestic consumption hurting the manufacturing sector a bit more. Although, agriculture sowing has increased compared to last year as suggested by the Government of India. It is definitely not good enough to change the fortunes of the farmers with few regions in the country facing severe cash crunch in the rural areas. The government will look to increase funding of MGNREGA, yet there will always be an issue about the utilisation of those funds by the states. Education funding is most likely to increase for providing boost to higher education, digital education, infrastructure, etc. The government will also look to keep the momentum of building roads and connecting villages apart from electrifying the villages. Keeping in mind, the agriculture sector, irrigation funding is likely to increase in the budget this year. With droughts creating havoc for the farmers, India will look to reduce dependency on the monsoons by developing rainwater harvesting structures and irrigation facilities. Health is also an area of concern, with healthcare spending lower than most of the major economies. India will look to increase its public healthcare spending this year through National Health Mission and focus on issues such as MMR and IMR. The government has announced several benefits to curb MMR and promote Reproductive health in the country. The focus is likely to remain on sanitation including building toilets for women. Rural entrepreneurship and infrastructure spending is likely to receive a boost to provide employment opportunities for the people. Like last year, investments in rainwater harvesting, watershed development and canal development is expected to increase. The government would also like to invest on digital literacy, digital infrastructure and establishment of mechanisms for digital payments. Huge amount of funds is expected to be allocated for ensuring India is on the right track to become a less cash economy. The government will also like to increase productivity in the clusters which are experiencing slowdown such as garments, handicrafts, jewelery, horticulture, etc. The government has shown intentions to provide boost to the real estate sector through low-cost housing. It might also look to fulfill the needs in the rural areas through PM Awaas Yojana. Apart from such issues, there will also be a push towards ensuring India becomes a pensioned and insured society. Finally, it can be concluded that India will want to be hopeful that there is normalcy in the economy soon paving way for growth and development. The citizens would expect that in the next two years the current government regains economic momentum creating employment opportunities and providing important facilities and services such as sanitation, digitisation, safe drinking water, etc. in the remotest villages of the country. The author, Soumitro Chakraborty is CEO, Fiinovation.